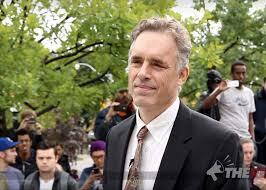 University of Toronto psychologist Jordan Peterson has gained YouTube notoriety recently for speaking out against social justice warrior lunacy. However, it should be noted that his book, Maps of Meaning, is a very profound one. I heard him give a talk in which he mentioned initially that he was interested in economics, but was put off by the undefended assumption that people want to maximize their wealth. Most people want to be wealthy, of course, but they also want to have a fulfilling life, which is much more complicated. The larger existential question is, “How do I invest my time now to have the best life?” This does not lend itself very well to mathematical expositions. His basic premise is that we develop maps of meaning to identify our best life. The world appears to us not in the form of objects, but rather things with an inherent valence or meaning according to how well they help us thrive. Thus, a cliff-edge does not represent a mere vertical descent, but rather, physical danger. Our world is filled with things, people, and ideas that all have meaning to us, and we arrange them in a map according to the way in which we see they have interrelated effects on our lives. Human life is a narrative quest, focused on a story we find useful and true, an arc that leads to something profoundly good and beautiful. We attend to things we believe will lead us to this objective most efficiently, and thus, all of our tactics, strategies, and summum bonum are tied in a speculative endeavor. This conscious mode of thought is grounded in a metaphorical language that derives from narratives that use universal archetypes in the way that a good fictional character can describe a universal existential problem better than dry prose (e.g., Job, Holden Caulfield, or Anakin Skywalker). Eventually, our maps develop anomalies, events that do not fit, because maps are always simplifications of reality. A sufficiently large anomaly is similar to finding that your microscope is out of focus: everything becomes a blur, chaos, and it is not obvious in which direction to adjust the lens. It is difficult for people to improvise solutions to their problems, as failure cascades through a complex system. In such a scenario, the first response is to freeze, as rats will freeze initially when moved to a new cage, because all they know is that their current environment is unmapped. Gradually, they begin to sniff around for predators, food, and other rats. Once they perceive that the danger is diminished sufficiently, the rat begins to explore the cage and do normal rat things. Thus, when you learn that your partner is unfaithful or you are not good at your job, you have to rethink some fundamental assumptions about the meaning of your partner and job, and adjust your life accordingly. This happens until death, hopefully less frequently as one becomes older, but certainly at least several times. Alas, many ignore anomalies using cognitive dissonance, but the cumulative cost of not facing one’s errors leads to frustration and existential angst (which explains many angry bloggers). What is interesting is the way in which this epistemological process is akin to Gould and Eldridge’s punctuated equilibrium theory, in which evolution consists primarily of stasis, but occasionally of significant change. The maps people use to understand the world do not change in a linear way, as if they were updating their Bayesian prior daily, but rather people update only when their prior fails massively. This seems relevant to business cycles. Previously, I riffed on Batesian mimicry, the idea that business cycles focus on new things each recession because idiot imitators and outright frauds are drawn to businesses that seem most bulletproof to pointy-headed bosses. Thus, just as colorful poisonous snakes imitate colorful non-poisonous snakes (who then save on metabolic resources with the same benefit), putting “dot-com” after your company’s name was a great strategy circa 1999, and giving mortgages to anyone with a pulse was a great strategy in 2005. Failure is endogenous in humanity’s crooked nature. However, a problem remained; why does investment decline across industries in each recession? Why do industry-specific problems spread into disparate sectors such as consumer, electronics, housing, etc.? Using the Peterson theory, when something sufficiently anomalous happens, investors see chaos because it portends a major epistemic flaw in their maps. Thus, it is best to wait and see where their maps are wrong before investing more. Finding a new paradigm takes time. One rarely understands an anomaly fully, even in hindsight. Even today’s economists disagree about the essential cause of the Great Depression of 1929, or the more modest 1990 recession. Thus, in real-time, anomalies reach tipping points that halt investment, because deferral is not nearly as costly as is a bad investment. Recessions last approximately 12 months on average, so eventually, people determine the anomaly’s essence or at least become comfortable with a new, imperfect map of the business landscape in which chaos is contained, and activity resumes. Contractions are not equilibriums, because people naturally want to explore the uncharted, as exploring is one of Jaak Panksepp’s instinctive mammalian affects. The breadth of a business cycle is the result of the catastrophic nature in the way in which we update our worldviews. Yet, every 10 years, economists develop a new model that the next cycle does not fit. Consider the recession in 1975, which focused on oil, in 1982, on interest rates, in 1990, on commercial real estate, in 2001, the internet bubble, and in 2008, residential housing. Each one is sui generis, as the prior indicators fail to work. In the most recent crisis, when mortgage indices began to falter in early 2007, no economist thought it was a major problem because these had not led to recessions in the past. A few funds failed, but everyone thought it was contained. Then, larger mortgage-related firms continued to fail, and it became clear that the problem was bigger than anyone thought. In the fall of 2008, it seemed that the sky was falling, as people were unclear whether the problem was centered on residential housing, all securitizations via some arcane math error (copulas), or some unknown financial positive-feedback loop. Even now there is no agreement on the genesis of the 2008 recession, and like the fall of Rome, the list will probably remain forever long, even though I believe the only necessary and sufficient condition was the flawed assumption about diversified housing prices (no one thought a nationwide nominal housing price decline was possible). Interestingly, the government caused another anomaly by trying to make things better. In an effort to help solve the problem, the government instituted many new rules that made it easier for delinquent homeowners to remain in their houses without paying, and required a costly legal process for lenders to evict anyone (foreclosure now averages over 600 days). Further, the government filed numerous lawsuits that punished banks for making the same loans it had encouraged previously, but such is politics. Thus, mortgages went from a 90% to a 20% recovery rate assumption, and half of total bank profits in this recovery went to pay fines, so that banks have had one of the weakest post-trough recoveries of any expansion. This has contributed to our anemic expansion, and highlights that one also must foresee the clumsy government response to any anomaly, which makes the problem much more intractable. At some point, the initial mortgage bond anomaly was seen as evidence of a substantive flaw in people’s business models, but it was unclear what that flaw was. They saw chaos and turtled in, froze like rats in a new cage, and investment declined across the board, which is the essence of a recession. When bad information arises, this causes all investors to put less weight on their Bayesian prior about the future, so expectations shift more as new information arises, which is why volatility increases during incipient downturns. The anomalies were real, and exposed profoundly flawed assumptions in certain common business practices. Specific business models were not viable, evidenced by large sustained exits in key sectors after each recession. This is important, because some economists believe recessions are caused by self-fulfilling, but groundless shifts in expectations; many Keynesians lie here (see, sunspot theories of recessions). Anomalies arise in different parochial aspects of the economy. Attempts to counter business cycles via aggregate policy never work. When investors perceive a large anomaly in their Weltanschauung, their natural reaction is to stop investing in new things, because regime shifts take place after every cycle and if one occurs in your business, you are toast if you build a new plant or keep those workers you hired in anticipation of growth in your now-discredited map. It is difficult to predict the future, but I would suggest several large areas that seem unsustainable, yet have witnessed fantastic growth over the past several recessions. • Municipalities are accumulating large pension deficits because it is easy to promise future retirement packages and allow the next generation of politicians to deal with it. Historically, muni bonds have been rock-solid investments, but if they become risky and all municipals face a new default premium, how much would they have to cut back their expenditures? • College tuition has outpaced the inflation rate for two generations, and the number of people going to college also has been increasing, creating a massive increase in college revenue. Yet now, many graduate lack skills for which people are willing to pay (e.g., journalism), so that many students will never recoup their tuition and opportunity costs. When prospective students begin to realize this, an unprecedented downsizing will occur. • The Fed has increased the money supply at an unprecedented rate over the past 10 years, and 8 years into an expansion, the US federal deficit is 4% of GDP. European nations are no better, and several, such as the PIGS, are worse. This portends a government bond collapse and rampant inflation. • 40% of US corn is used for ethanol, a low-octane, corrosive fuel that exists only because of federal mandates, and 15% is used in high-fructose corn syrup, which is inefficient and less healthy than are other sweeteners, and is propped up by federal mandates as well. The effect on our aquifers is unsustainable. When one of these starts to blow, people will believe at first that it will be no problem, because none of these areas has been key in any business cycle since WWII. However, when firms continue to fail, panic will ensue across the board, because if one of these areas goes down, another, or all of them, might, and the most sensitive businesses related to these areas are not obvious (land for farmers? computers for students?). Further, municipal debt, colleges, and corn could be accelerators rather than instigators of the next recession, in the same way unprecedented US state defaults prolonged the 1837 recession until the mid-1840s. Eventually, as the effects are contained in certain sectors of the economy, the economy will recover; again, recession is not an equilibrium. Unfortunately, this time it all will occur with a banking sector that is precluded from backstopping obvious market overreactions because of the Volker rule. This will enhance the downturn, but unlike the May 2010 flash crash, it will last much longer. The take home lesson? Buy cybercurrencies. Why buy cybercurrencies instead of gold where there is no risk of having to guess which alternative currency will survive? I listened to JP's maps of meaning and personality lectures and i think it applies to value investing, Templeton / Dodd like. Similar reason to your own for looking at macro/ top down application yet I think it is easier to be a successful value investor than macro trader. Base rate of success is very poor in macro. Great stuff, fascinating analogy. Similar to the Soros recipe for trading opportunities which involves the divergence of perception from reality, with the best trades being fueled by a rapid resolution of collective cognitive dissonance. 1) central role of fossil fuels (especially petroleum liquids) in our energy infrastructure and economy- reasonable chance that gasoline could be displaced, implying widespread overinvestment in the energy sector. 2) changing consumption patterns and behavior. Death of retail and the possibility of a catastrophic collapse in commercial real estate values. Cheesehead: The retail death is interesting...I agree that JCPenney, Sears, are all dinosaurs. How big is that sector? Given the enormous inputs of data and (now) the enormous computing power that can be used to process the information, surely (don't call me Shirley) the future can be predicted. And yet, the meteorologists, whose data and computational resources equal those of economists, find that their "accurate" weather predictions (it will rain today or perhaps tomorrow) cannot be extended beyond a 3-week horizon. This is not my statistic or opinion but Edward Lorenz's. This does not mean that economists should give up their pretenses to knowledge. Meteorologists haven't. But it does mean that both sciences have to abandon their presumption that modeling of aggregates can produce workable hypotheses that can be tested by actual events. The Falkenberg thesis about mimicry is proven by the data; the struggle for successful firms in any industry is to avoid having the mimics persuade the customers that "good enough" really is OK. It has been disappointing to those of us who are Eric's fans that he has not tried to develop a mimicry index for a particular industry. It would not succeed as a general predictor for "the economy" - that mythical beast of aggregation - but it would most certainly be a useful tool for quantifying particular risk. Mea culpa. The autocomplete butchered the Falkenstein name.